RememBear is TunnelBear's personality-driven entry in the password manager market. Offering a service that competes more directly with Apple Keychain and browser-based password managers from Google and FireFox, you may find RememBear to be a quirky alternative if you pay the monthly fee. Verdict: A good alternative to free tools, but limited without the paid version. RememBear offers a slight advantage over Apple Keychain or browser-based managers like those available through Google or Firefox, but the lack of syncing without the paid version makes this tool a tough sell. Remembering every password you use these days is a near impossibility. Thankfully, password managers, or applications that house your passwords and automatically insert them into websites for you, simplify the process. One of the newest options on the market, RememBear, comes from the same development company that offers TunnelBear VPN. Considering you have a large number of alternatives, such as Google’s password manager built into Chrome, Apple Keychain, LastPass, 1Password, and many others, the major question is this: Is RememBear a password manager worth your time? Grizzlies are normally a bit frightening. RememBear? Not so much. TunnelBear’s endearingly-delivered password manager covers the basics, although there are some notable features that high-level users may desire that have yet to emerge from hibernation. But while this application is easy to use, its most important feature is locked behind a paywall that many free options don’t give, while it comes at the same price as higher-powered options that offer more features for the price. BEST DEAL:Save 42% on the 3 year plan. If you’re looking for a fully-featured password manager, RememBear isn’t it. That’s not to say that this password manager lacks features. In fact, RememBear has all of the essentials covered for the average consumer, including secure password storage, the ability to import passwords from popular web browsers, the option to operate as a digital wallet for your credit cards, and syncing across multiple devices. But if you’re in the market for a professional tool that includes advanced features like two-factor authentication (such as through YubiKey), you’re better served by market leaders such as LastPass. If you want a good, similarly-featured supplement to the Google Chrome or Mozilla Firefox password managers, or to your Apple Keychain, RememBear offers a noticeable improvement over those basic options. As you can see, the list of features that comes with RememBear is far from paltry. In fact, you can do far more with RememBear than you can with Apple Keychain, or the built-in password managers for Google Chrome, Firefox, or any other web browser. Considering you can use Remember across multiple devices, browsers and operating systems is a big step above those more commonly-used options. As with most password managers, RememBear is ostensibly free. However, there’s a catch. Everything that comes with RememBear can be used for free for 30 days after you sign up. After that, you’ll be locked out of one of the most important features: syncing. A premium account costs $36/year. RememBear advertises its service at $3-per-month to lighten the sticker shock, but the company only bills annually. Unless you pay for premium, you won’t be able to sync your passwords, notes, and credit card information across multiple devices. You can still use RememBear on different devices. However, any changes in saved passwords or wallet information won’t be updated across every device. The lack of backups and syncing means that all of your RememBear data is only saved locally, and you can’t get it back if you lose it. By comparison, this is not the case with Google, Firefox, or Apple Keychain, all of which do offer backups and syncing for free but don’t offer any additional services or features. The sign-up process for RememBear is fast and efficient. Additionally, if you’re unfamiliar with RememBear’s mamabear company, TunnelBear, you may be in for a surprise at just how quirky the service is from the moment you start the sign-up process. Once you’re through the general installation process, you’ll need to create your account. This involves giving RememBear an email address and a password. The app will grade your password, but it won’t prevent you from using a weak one. Following a successful account creation, you’ll be given the “Backup Kit” information. This is the key you’ll need to perform an account recovery if you forget your master password. It primarily consists of a device key. You can print that information, write it down, or save it in a secure file. The last step to the initial setup is importing your logins from either Chrome or Firefox. If you don’t have any, you can quickly move on. If you do, all you need to do is click the browser you’re importing from. From there, you can individually select which passwords you want to transfer. 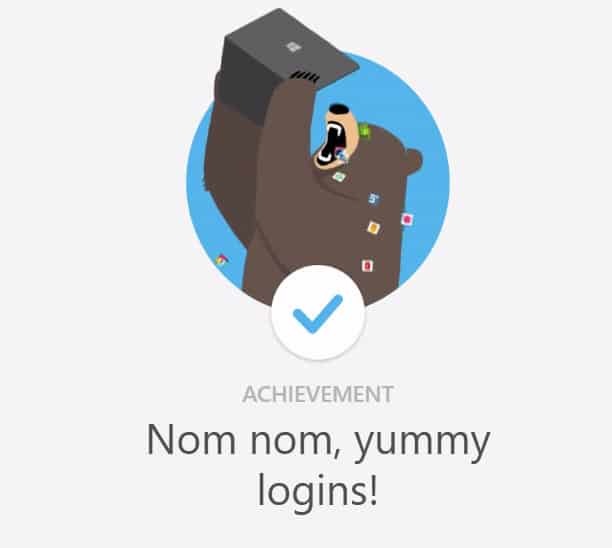 After the import process is complete, RememBear will “reward” you with an achievement, similar to what you might unlock in a video game. 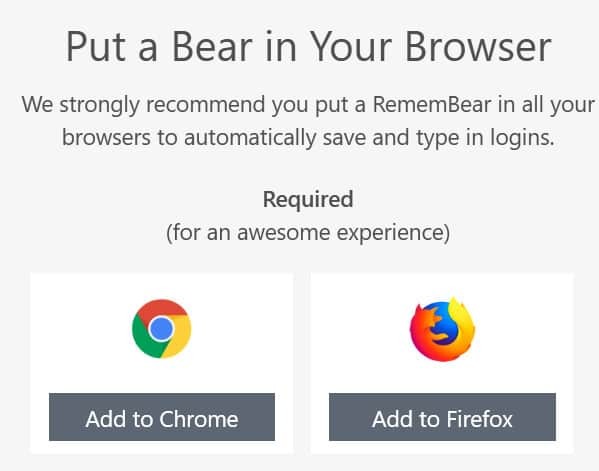 At this point, RememBear is effectively set up, but you won’t be able to really use it on your computer until you download the app to your devices, or install the plugin on your Chrome, Firefox, or Safari browsers. Once you have your browser plugin installed, RememBear will consider your setup complete. At that point, you can start fine-tuning your experience with the few additional features RememBear has on offer. There are three ways to add passwords to “Your RememBear”, as the company refers to it. The first, importing from Chrome or Firefox (or Safari, for Mac users), is part of the setup process. The second method is to save passwords via the RememBear browser plugin when prompted. As with most other browser-based password managers or plugins, when you enter your login information into a website for the first time, or enter new a new password to a site where previous login information has been saved to the password manager, you’ll be asked if you want to save the login information. If RememBear’s plugin works with a website’s login page, you’ll see a bear symbol next to the username in the login form. Once you enter your username and password, RememBear will generate a pop-up stating that you need to enter your master password first to save the login information. All you need to do is click “Remember” to save the new account information to your RememBear account. Once saved, any changes, such as different usernames or passwords, will register a prompt to update or save the new information. Additionally, you can also use RememBear’s password generator when you’re creating accounts and saving passwords for the first time. Just click on the bear symbol in the login field, then click on Password Generator. Note that in some cases, RememBear won’t save a password if you’re creating an account on a website for the first time. For example, when running a test on Dropbox, I found RememBear did not issue a prompt to save or update any login information during the creation process. However, it did perform the password saving function with Yahoo.com on the account creation page. In situations where Remember doesn’t save your login information on an account creation page, you’ll need to save your password and username to RememBear after logging out and back into the website or entering the information manually in the RememBear app. The third way to add passwords is through manual input. You can do this by opening your RememBear app, clicking on the Add New button on the bottom of the window, and then on Login. If adding passwords manually, you might need to also manually hit the sync button to make your new passwords are accessible across your devices. To do that, go to your RememBear app or browser plugin, then click on “Sync” at the bottom. 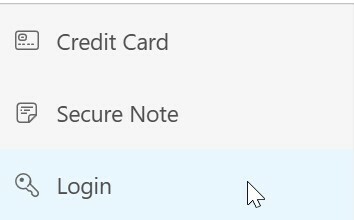 When you’re ready to login to a website, you can use RememBear to quickly insert your username and password information. 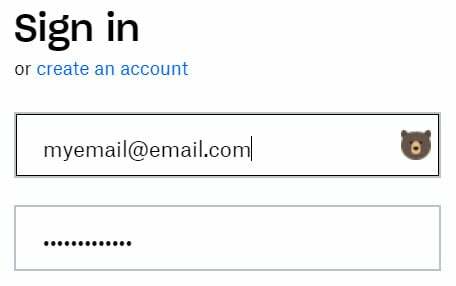 To do so, click on the bear symbol in the login form (usually in the username box), then select the correct account information. If you want more information on the account, click the “i” button to get more details, including any notes you may have left for that account in your RememBear app. The same holds true if you’ve connected a mobile device. After giving the RememBear app autofill and “drawing” permission (drawing allows the RememBear app to operate on top of other apps), you can tap the RememBear icon on your screen and autofill after tapping the login information you want to use. If you have multiple passwords/accounts for the same website, all of those will be listed when you log in. You may want to leave notes if the usernames are too similar. One of the best features of any password manager is data backup and syncing across devices. This is what allows you to take all of your Apple Keychain- or Google-saved passwords with you across multiple devices, for example. With Apple and Google, you can do this without paying. With RememBear? Not so much. Data backups and syncing work the same with RememBear as they do with other password managers. 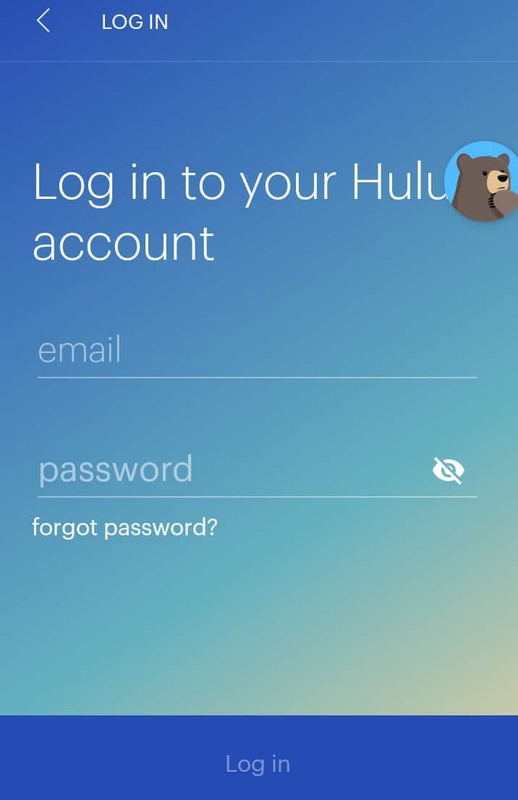 Once you save a password, it backs up to RememBear’s cloud servers, and once you login to your RememBear app on another device, you have all of your passwords, usernames, and other saved data ready and waiting for you. You get all of that free for the first 30 days you use RememBear. After that, as stated earlier, the pricing scheme kicks in, and you won’t get any backups or syncing without paying. That means each individual device you use with RememBear will not receive the password and username saves or updates done on other devices. That paywall makes RememBear a really tough sell for the average user with multiple devices. We listed RememBear’s full feature list at the top, but most either run in the background or are best experienced first-hand. The password generator, for example, is extremely useful and works with a simple slider mechanism. 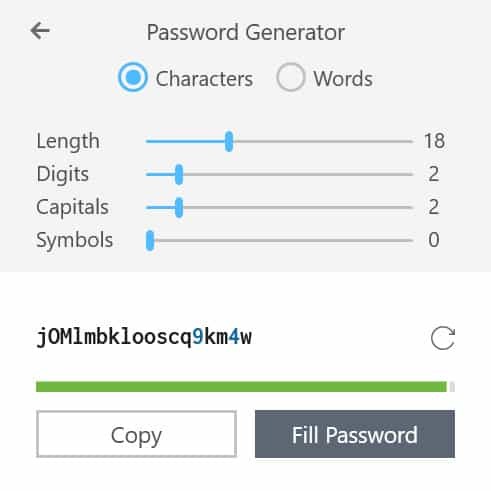 It also lets you choose between a symbol-based or word-passed password, which is uncommon. The standalone apps worked well in our testing. The mobile apps are easy to sync with your account via a QR code that RememBear provides on the syncing screen of the desktop app. The locking feature is notable in that it lets you quickly lock down your RememBear manager, preventing others on your computer from accessing your RememBear account without the master password. This is a feature that is currently not present in alternatives like LastPass, which requires a manual logout instead of just a quick locking feature, or Google’s Chrome manager, which is so fully integrated into your other Google accounts that logging out of your browser means shutting you out of other Google services, as well as your password manager. RememBear doesn’t break the mold in any way with its product, which can be seen as a good thing or bad thing, depending on your needs. Its simple set of features puts it on almost equal footing with many of the free options consumers are already using. It’s hard to fault RememBear for its unique branding. The entire experience using it is leagues away from the stuffy, generic approach every other password manager takes. This is just an extension of the same personality imparted by the TunnelBear VPN, but it’s still a welcome addition—and could even be considered a “feature” if one were to consider user experience a feature. The quick integration with mobile apps is solid while adding and managing your passwords and credit card information leaves little to complain about. The fast locking feature is a useful security option. The ability to quickly get to login pages through the browser plugin certainly helps in situations where you don’t have those pages already bookmarked or saved. Locking one of its best and most important features (data backup and syncing) behind a paywall is a huge letdown. Without the syncing or data backups, it’s hard to see why most users would find value in RememBear. Additionally, RememBear’s general lack of many features beyond what’s already available with free options significantly reduces its viability as an alternative. There’s also a rather sizeable security concern with this manager regarding its browser plugin session length. If you close down your Chrome browser, Google will log you out of your account automatically. RememBear, however, will not log you out. That means if you’re sharing a computer, someone could conceivably waltz right into your accounts that don’t have two-factor authentication set up. RememBear does not provide any information on how long each session lasts with its plugin. For comparison, LastPass’s sessions last for 2 weeks until you manually log out or change the settings in the browser plugin. 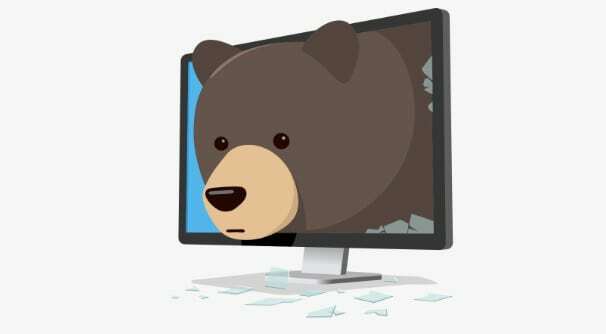 RememBear offers no adjustment in the settings for this, making it a very large security concern. The manual locking feature is a good addition, but it requires users to remember to use the locking feature to begin with. Trusting users to be responsible with their data sends a good message, but the reality is that most users aren’t that cautious. Thankfully, RememBear does log out of your app and plugin sessions when you log out of your operating system account or reset your computer. So if you are sharing a computer, you’ll need to either manually lock your RememBear account, or log out of your Windows or MacOS account on the computer. TunnelBear’s entry into the password manager market is admirable, even if the company faces a bit of an uphill battle to prove its RememBear product is more useful than its more popular (and often free) competitors. As a consumer-facing product, RememBear can easily compete against Google’s password manager and even Apple Keychain, especially since it offers most of the same features and adds a more personalized and humorous feel to the product. And if you’re looking to seamlessly switch between Apple, Android, and Windows devices, RememBear will allow you to do that—for a $36/year fee. However, locking the backup and syncing feature behind a paywall reduces its usefulness when compared to Keychain or Google’s password manager, and for many consumers, may plummet its level usefulness down to almost zero. While some of its competitors, like LastPass, take the same “multiple device syncing behind a paywall” approach, they also offer more features. And when compared to LastPass, which also costs $36/year and offers more features, one might struggle to find RememBear’s competitive advantage. It’s difficult to be a web user these days without having accounts on dozens of websites. In a fit of laziness, many internet users and even most security professionals turn to just reusing the same passwords across different websites, something most security experts agree is a pretty bad idea. The alternative to password reuse is, of course, to create different passwords for the sites you use, and to use two-factor authentication when it’s available. But with so many passwords to juggle, password managers have become an almost essential tool, with many now crowding the market and asking desperately for you to trust them with your precious string of letters, numbers, and symbols. From a safety perspective, most password managers are fairly secure, and indeed are more secure than many of the alternative methods password management. Encryption standards prevent brute-force cracking of your manager’s passwords backed up to the cloud, while most password manager services use hashed passwords to make it impossible for hackers to get any useful information even if a hack does occur. All of that said, there’s no clear yes or no answer to whether you need a password manager. However, password managers present a comparative safety advantage to simply re-using the same password across all of your accounts, as it only takes one account hack to ruin you. Managers also provide a significant ease-of-use factor that significantly reduces the strain of trying to remember multiple passwords, especially if you’re trying to use more secure passwords. 6 Should you use RememBear? 8 Do you need a password manager?